Put Your Best Book Forward. 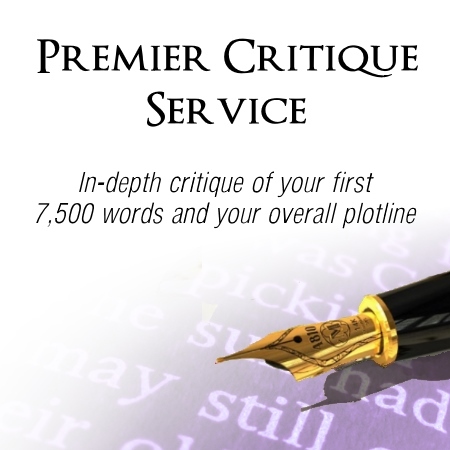 Hire a Professional Writer to Critique Your Work and Teach You Invaluable Skills. Your perfunctory prose leaves my heart a bit stale and my head rather befuddled. Mayhap you would seek a more eloquent approach to elevate this meandering torture to a more pleasing arrangement. Your lack of clarity distresses me. The dialogue is melodramatic, the narrative a bit stifled, and your—dare I say lackadaisical—description reduces me to a state of hilarity of which I am certain you did not intend. Your histrionic heroine falls flatter than a flitter, and your hero has not a romantic bone in his tall, dark, and handsome frame. What is an author to do? Toss hours and days and weeks and months of rabid and determined toil to the scrap heap? Nay, I tell you! There is a better way! There is no misguided plot or errant word that cannot be retrieved, molded, and shaped to fit a far fairer path to the great tome you so desire to produce. I could wax long and grandiloquent on the matter at hand, but I wish not to turn you away with this egregious example of long-winded verbosity. Welcome to my world! That is, the world of craft, creativity, and all things writing. It is a world filled with characters, scenery, emotions, wild sights, scents, and sounds. A world of dreams. In this case, your dream. Let’s begin, shall we? With 35 years of experience in the field of writing (both fiction and non-fiction), publishing, coordinating novel contests, ghost writing, and coaching writers, it’s no wonder people prefer my in-depth critiquing service. I’ve written over 50 books in multiple genres and coached countless writers to achieve their goals. My critiquing service is a thorough analysis of your full or partial manuscript, with point-by-point notes on how you can strengthen your writing. Each critique is tailored to the writer and the book itself. I carefully read every word of the pages submitted and offer a detailed analysis. My critique includes notes on your sentence structure, plot development, character development, transitions, voice, dialogue, Point Of View, consistency, and more. I also tell you what your writing strengths are so you know where you are really doing well and you can do more of it. Writing is an art-form, a creative process, but there are very definite rules that must not be overlooked when it comes to writing a great book. You can be very creative with a storyline, even with dialogue and character-development, but if you aren’t careful, you can easily lose a reader in the wrong way of presenting your ideas. If you study the great classic novels of every decade from 1890 to the 1920s, 1950s, and so on, you will see a huge difference in style and what is acceptable. The ability of Marjorie Kinnan Rawlings is eclipsed by the skill of writers like James Michener. Fast forward into the modern age, and you will see yet another layer of the creative aspect of writing and what is acceptable. I started writing when I was fifteen years old. I made a lot of mistakes, and I had to learn the hard way to correct those mistakes, by writing and writing and writing until my brain was numb. Some of my old habits are downright cringe-worthy. My writing today is different in many ways. Every writer grows into their style, their skill evolves along the way, and what is acceptable within the industry evolves. Sometimes, that evolution is based on what is trendy. At the moment, the first person simple present tense is trendy with young adults, and a new, “jerkier” way of writing seems to have been born out of a sense that the population has now become attention deficit, and all our filming practices have morphed into a fast-paced, less detail-oriented, almost staccato way of viewing. 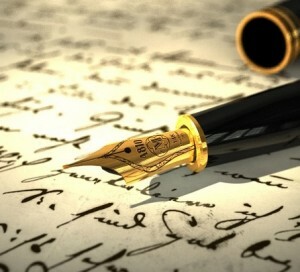 If you want to rise to the top of the heap and be counted as one of the great writers of our time, you learn to write well regardless. You can be trendy without necessarily falling into the rut of bad writing that exists today. Always be open to learning. It doesn’t hurt to hire a professional to help determine if you are on the right track. Hiring a professional doesn’t diminish you in any way. In fact, it means that you are determined to make it in the field of writing, and you are willing to learn as much as possible so that readers will love you and professionals will respect you. You’ve written a novel, but it doesn’t feel quite right to you. You intuitively sense that the words seem a bit flat, the story not quite as well-developed as novels you’ve read by best-selling authors. You aren’t too sure where you went wrong. You need help learning how to make your novel great. It’s your first book. You think you’ve done a great job, but your novel is getting a lukewarm reception from friends and family. They hint that the book needs improvement, but none of them are writers, so they don’t tell you exactly what needs improving. Maybe you’ve written two or three books, but you aren’t getting the reviews you think you deserve. You cast a critical eye on the many pages you’ve written and determine that maybe you need a little help in crafting a better page-turner. You have an idea, but you aren’t sure how to execute it. You’ve never written before, but you like the idea of becoming a writer. Your idea begins to fizzle. You type out a few thousand words, but nothing seems to grab you. Maybe a personalized writing critique would help. The goal of a great story-teller is to captivate the reader. You want to immerse your reader in total escapism, so thoroughly that they feel like they are right there with your characters. Learning how to do this makes a so-so writer a fantastic writer. Everything you do within the scope of your writing can either snap a reader out of the story or keep a reader riveted and wanting more. New authors are rarely seasoned enough to detect these mistakes in writing. But don’t feel like you are the only one. Writers can get blind-eyed to the problem spots in their own manuscript. Even career writers sometimes use a critique partner to help them catch any issues that their tired eye may not notice after proofreading it themselves more than a dozen times. It’s easy to gloss over something when you have read it so often. That is where I come in. If I see saggy pacing, I will point it out so that you can become more perceptive about maintaining your pacing so that the reader doesn’t get bored. If I see that you are not maintaining believable dialogue, I will point it out, so that you can learn how to develop believable dialogue. Even seemingly small things are important. Every nuance matters. Great writers are always willing to cast a critical eye over their finished manuscript and toss out what doesn’t work. You may love a long passage that you have written only to realize that it slows your pacing or weakens the overall novel itself. Many authors don’t want to delete anything they’ve written, because writing is hard work, time-consuming, and we become attached to our words, storylines, and characters. But in order to really become skilled at your craft, you must be willing to delete, delete, delete anything that damages the forward movement of your story. It’s also important to write with a keen eye for your chosen audience. You must educate yourself on your genre of choice. With my critique service, I keep the genre in mind as I am offering my suggestions for improvement. Why? Because every genre is different. Yes, writing needs to be strong in all genres, but some genres can offer a bit of leeway that others do not. Not in structure or pacing, but certainly in mood. For example, a Literary novel can take you almost anywhere when it comes to plotline, and may even have a very thin plotline, where a Mystery novel requires a very solid plotline. Since my goal is to help you to be the best writer you can be, I may be a little tough on you at times. Please allow me the latitude to do my part and point out what doesn’t work. After all, you are paying me to use a keen eye. Just take a deep breath and open yourself to learning and growing as an author. I will do my best to help you to see your strengths and your weaknesses without stepping on your voice and your style. But please don’t confuse voice and style with solid writing skills and technique. There is a difference. I accept books in nearly every genre, but I do not critique the Horror genre, nor do I critique the Children’s genre. My critiquing service is like having a personalized mini course in writing. You will learn a great deal with just one critique. You may wonder why so many authors pay a professional to critique their writing when writing groups often support one another with free critiques. Critique partner pairings is a standard feature to most writing groups. But many of those critique partners are not published, or maybe they are self-published, and they don’t know any more about writing than their partner knows. 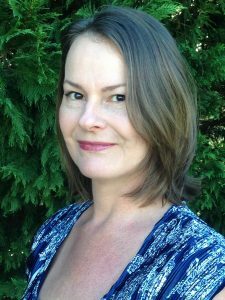 I have been a member of many writing organizations over the years, and I can tell you that few professional authors offer their valuable time for free. Remember that you get what you pay for. If someone critiques you for free, 1) They may not even be qualified to offer the right kind of insight to help you grow your own writing skills. 2) If they are qualified, they may not spend enough time on your manuscript, because it is, after all, free, and they don’t have much time to offer. Also, in my years of working in the industry, I have seen too many indie authors list the name of their editor in their book, and the editing is so bad that it doesn’t even look like anyone proofed the book at all. Keep in mind that copy-editing is different than knowing how to write a good book. Copy-editing, or proof reading, is a form of grammar patrol and the punctuation police. A college graduate of English may know how to diagram a sentence but may not know how to put together a fast-paced fictional novel, or know how to write a book of any kind. These are two totally separate aspects of writing. I take a comprehensive look at your skills as a writer, the hook, opening scene, plot points, plotline, character development, plot development, transitional scenes, narrative, description, voice, point of view, dialogue, consistency with tense, and overall consistency throughout. I make detailed notations about each of the points mentioned and offer reasons as to why changes are suggested. I will show you some of the most common mistakes writers make. Words or sentences that are extraneous or overused, redundancies, dialogue or narrative that can be tightened, or sometimes expanded, scenes where the action is confusing or the author’s meaning is unclear due to bad transitions, unnatural phrasing, shifts in point-of-view that confuse the reader, passages that don’t read well, confusing narrative digressions and transitions, changes that can be made to improve the pacing of a passage. I will suggest words or phrases that may clarify or enhance your meaning. And so much more. This is not a proofreading or copy-editing service. Nor is this a class in grammar. So, please don’t expect me to point out misplaced words, spelling mistakes, misplaced commas, or lack of proper punctuation. (That is an entirely separate service altogether, which I do not provide here.) Within the scope of my critique services, I do not rewrite your submission/book. (See below for information on ghost writing and book doctoring.) I do not provide unlimited follow-up Q&A time with any of my services. But I will allow enough follow-up emails so that my client gains clarity on a few things outlined in my critique. I do not solve, rewrite, or offer a solution to any plot problems, but I do point out wobbly plot issues. I do not pitch your book to an editor or an agent. My role is strictly within the scope of teaching you to write well. So, which of my services are you most likely to need? Here are a few options to help you decide. You can use this service to ask Cassandra questions about writing, or you can use this feature for additional follow-ups to other services. 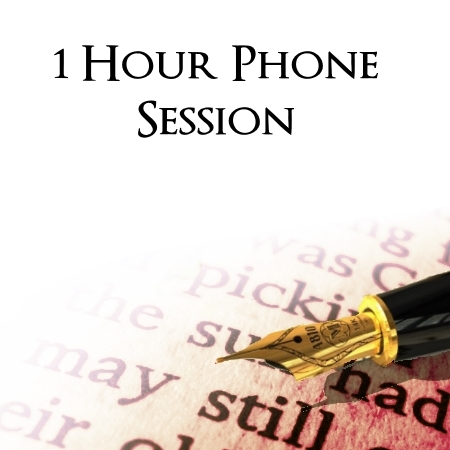 Working with a client either face-to-face or via telephone is my favorite way to teach writing. Hence the term “preferred service.” With this service, not only do you get real-time feedback but you also get real-time examples of how to change your writing for the better. During these sessions, I send tips and techniques via email while we are speaking on the phone. This is how it works: you order, and pay, for a Preferred Service session. I zip you an email and request your sample—usually the first chapter—I evaluate the sample and then schedule a telephone session with you. This is the easiest way to get the most for your money and learn to hone your craft. You get a personal teacher and writing coach, and you can have as many sessions as you need with as many books as you want. *Although we are on the phone for roughly an hour per session, I am spending at least two more hours prior to that in evaluating your sample and making notes for you. If you feel you may need more than 1 hour per session, you can add an hour by using the payment drop-down menu. For a follow-up or ongoing coaching, please select the number of hours you want for each session. 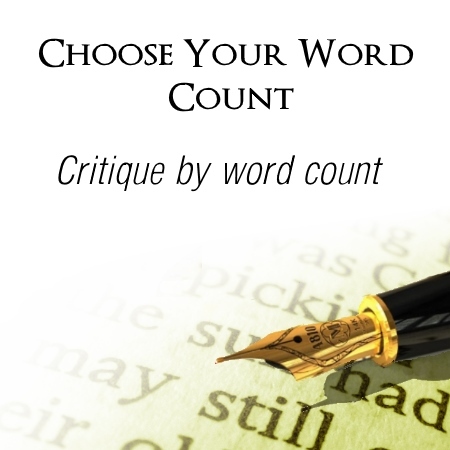 Choose the number of words you want critiqued. Please scroll down for more information. 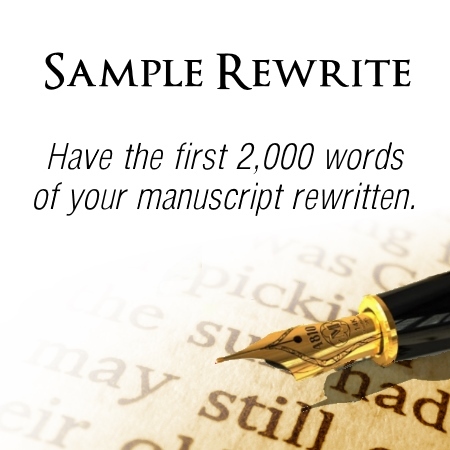 Have the first 2,000 words of your manuscript rewritten. Contact Me to arrange this service as I must evaluate a sample of your manuscript before accepting the job.